FCC trying to solve Lifeline residential address problems? We’ve received literally thousands of comments and emails in the last few years from low-income Americans who are perfectly qualified to receive a Lifeline free government cell phone except for one thing — a quirk in the Lifeline Assistance regulations that disqualify them simply because of their addresses. Now it looks like the Federal Communications Commission is finally taking it’s first small, but serious look at how to solve the problem. On November 21, the FCC asked for comments on how the National Lifeline Accountability Database (otherwise know by the initials NLAD) can accommodate addresses for participants of address confidentiality programs (ACPs). We threw a lot of initials at you in that last paragraph, so let’s clarify the issue. An ACP allow a victim of domestic violence or sexual abuse to keep his or her home address confidential. That means it won’t end up in public records. ACPs are issued and administered by the states and give victims alternate, shared mailing addresses for use on public documents (such as voter registration or, more important in this case, an application for a free government cell phone). What’s a “shared mailing address”? Good question. 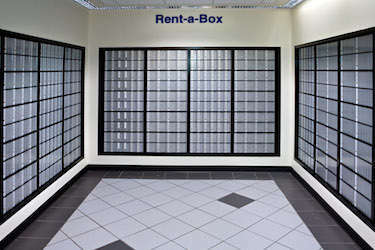 They typically include a post office box that can be accessed by an individual who has the correct code. This would be an important development, or should we say improvement, to existing Lifeline regulations, which do not permit a PO Box to be used as a residential address for the purposes of applying for or receiving free government cell phones. The Federal Communications Commission is looking for comments. They want to know if you think the old, restrictive rules that prohibit the use of PO Boxes should be waived for those unfortunate individuals who participate in ACPs. Comments are due December 5, 2013; reply comments are due December 12, 2013. We urge you to contact the FCC and make your voice heard. While we completely understand the reason the regulation was initially proposed and passed, we’ve heard from too many people who have fallen into the unintentionally-created cracks caused by this regulation. And while they’re at it, we urge the FCC commissioners to address the broader problems created by the same regulation. In other words, make it easier, not tougher, to get these phones into the hands of people who so desperately need them. How is this a Lifeline problem, Emma? i was a safelink customer for 5 years. no problems, reception is great. Overnight without talking to me, Safe Link cancelled my phone. Because more than one person lived at same address..Yes they do, it’s a NURSING HOME. I HAVE A PRIVATE ROOM, NO ONE ELSE USES MY PHONE. I AM BED BOUND, CANNOT WALK, VISION IMPAIRED. MY PHONE IS MY LIFE LINE TO FEW FAMILY AND FRIENDS. i WENT TO ANOTHER CELL COMPANY, TRIED THEM FOR ONE WEEK, NO RECEPTION, ZERO TOWERS NO SERVICE. WHEN i WENT BACK TO SAFE LINK TO EXPLAIN, THEY SAID I HAVE TO WAIT TILL JULY 2018. ONE UPPER MANAGER NAMED STEPHEN UNDERSTOOD, GAVE ME MY PHONE BACK IN 450 MINUTED, SAID I WOULD GET IPHONE, TWO WEEKS. THIS IS NOT RIGHT. even offered to use brother’s address, stephen accepted that, then said no, cant use another address. I’ve had a Safelink phone for a little over 3 years now. I recently left my son’s father and went to stay with my brother (who lives in my parents house, which they bought in 1977). When I called to changed my address my service was cut off because they said someone else at that address was receiving a lifeline phone. No one in my family has a lifeline phone, nor would they qualify for one because they don’t participate in government assistance. The NLAD did an investigation and my phone was turned back on about a week later. Soon thereafter I had to re-certify for the year, so I applied online and got a message saying someone else as that address is receiving a lifeline phone and the NLAD will have to do and investigation!!!!!!!!! We just went through this not even a month before!!!! This happened on 7/6 and it still has not been turned back on. The FCC won’t even investigate, much less prosecute whoever has illegally used my families address to obtain free government services, or even help me clear up the mistake!!! I made a report with the Federal Trade Commission (Yeah, THEY are willing to do something), but who knows if it will go anywhere. I mean, what kind of idiots are running the National Lifeline Accountability “DATABASE”?????? A Database is supposed to keep records, yet they can’t even update it and remove the fraudulently acquired phone from my address!!!! And before anyone wants to get smart about the fact that I should be lucky I even get free minutes and a free phone, I don’t use their standard Tracfone and It was cut off with minutes that I had PURCHASED! I ordered and was approved for a free cell phone and service from qlinkwireless.com well over a month ago, and have never received it. I have called the phone number/emailed on the website but get nothing but an automated response saying my phone is “pending shipment.” They don’t have a live person to answer my questions. I think they are a fraudulent company. I have applied repeatedly and, of course,I ran into this exact problem! Can you please notify me when I can try again and this problem has been resolved? It would make such a difference for those of us on disability and a fixed income. I don’t know how they expect my family to survice on $1200 a month with all my medical bills, but they sure do! I’m very happy that this problem is finally being looked at, I just hope they resolve it. I live in Nebraska, why aren’t we on the state list? Is there any CLOSE time ne. will be added? I could really use this phone service! I live in a subsidized housing complex that doesn’t have mailboxes. So I have to get my mail at the Post Office from a Post Office box. cannot get Assurance to believe me. POB – Postal boxes provide those who do not have a permanent place of dwelling a permanent, safe and reliable place to receive mail. This is not a debatable issue – it is mainstay and baseline. Free Government Cell Phones is vital to those individuals and family members that do not have a means of contact. Not only do they need the telephone, the telephone needs to be updated to the point that they are connected for basic address of needs; i.e., health monitoring capabilities and text messaging. for 2 years and went to do my annual renewal and they said someone else had a phone at this address. am not sure they got it straight. It would have been much better if the article had been posted before the time for comments had closed. I have a different situation – I live in a town with no mail delivery. Everyone has to have a post office box, in order to get mail. I have managed to figure out how to “cheat” the system but it took months and a few employees at one of the companies servicinng Arizona helping me out. No one should be excluded because they can’t get mail any other way. Uh, comments aren’t closed. They are moderated. Next Post: Nearly 5 million eligible Americans still don’t have free government cell phones. Are you one of them?